This is the new Sig Sauer 716. this rifle is designed after the AR-10 rifle and they are making 4 sizes of this Rifle all chambered in .308 Win / 7.62NATO. 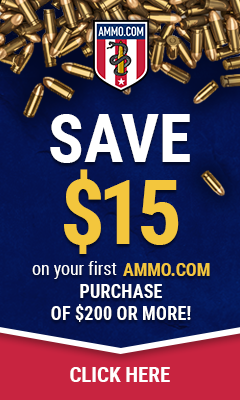 They are making Semi-auto version of all four rifles for purchase in the civilian market. The release dated has yet to be announced. I will be excited when the I can read the reviews of this rifle after it has been fielded. This rifle is against some heavy hitters such as the M110 or the AR-10. I was talking to someone the other night about the AR platform and they were asking my take on the rifle and how far it has come since its introduction into the US military in 1963 and long story short he asked about locking the gun up and after talking a bit about a gun safe he asked about locking the weapon itself up so it couldn’t be loaded with a magazine. Now this got me thinking about the locks on the market I had seen and most of the ones I had looked at were cable locks and so I figured I would look and see what was out there for the AR and this was one I liked for the shear fact it slides into the mag well and also blocks the barrel from loading of a round. This is the GunVault AR MagVault Rifle Lock. the price online isn’t bad and I like that is a bright orange so it is clearly visible when the weapon is just sitting there. Having fun with an RC Plane and a Full Auto M16. This gives the shooter a count of how many rounds he has left. The indicator shows in three colors Green (30-21), Yellow (20-11) and Red (10-0) so you know you are almost out. This is a Polymer Magazine with Stainless Steel Spring and Anti-Tilt Follower, for a more reliable Mag. 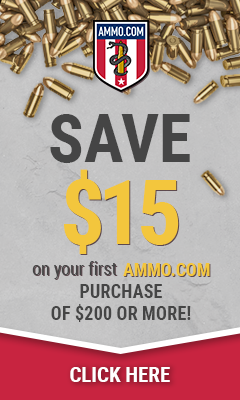 This will run you about $10 bucks more than the leading brand 30 round polymer magazines. but the payoff is the ability to know when you have only 1 round left or still have 3. I like gadgets and toys so that might be one of the reasons I would get this. of all of the AR-15 weapon system platform that are made in the world… who do YOU like the best and why? So at first I planned on talking a bit about the Tactilite T2 – .50 BMG AR Upper but I got sidetracked like normal. So I will show you a picture of what I had planned on talking about. Cool looking bolt action upper with 5 round Mag. it was designed to take an AR-15 platform and give you a .50 BMG (or .416 Barrett, .338 Lapua, .408 CheyTac) caliber rifle. The nice thing is you can have 1 gun and shoot many rounds in case god forbid ammo prices go back up. They have what I think looks like a pretty awesome barrel on one of the guns they made. Needless to say I like big cool guns. I think that is why most of us are here, right? Just because I know you want more pictures I will post 3 more for you. Well I guess I ended up talking more about it then I thought I was going to. I have been following the M110 Semi-Automatic Sniper System since it was in the trial stages. The M110 Semi-Automatic Sniper System is to replace the M24 Sniper rifle used by snipers in the United States Army. M110 is based off the original AR-10 developed by Eugene Stoner and redesigned by the rifles manufacturer Knight’s Armament Company. From what i have read and the comparison of M110 SASS vs. the Panther LRT-SASS is that the M110 has a higher accuracy level to the Panther. I have been looking at this rifle for some time now because I favor the larger 7.62 round over the standard AR platform 5.56 round.